The Old Herborn University was founded in 1584 by William I. The Silent, Prince of Orange and Count of Nassau, and his brother, Count Johann VI. of Nassau-Dillenburg-Katzenelnbogen, as a stronghold of the Reformation. The structure of the Schola Johannea was oriented at the organisation of the universities in Geneva and Strasbourg. In addition to a Schola privata, comparable to a college of our times, a Schola publica, the university, was built. Faculties in theology, philosophy, jurisprudence, and medicine were installed. 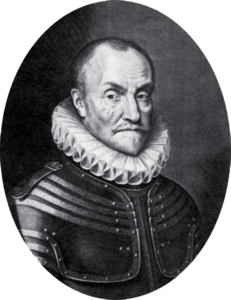 As the first reformational university in Germany, the Alma Mater Johannea, the “Hohe Schule”, did not only attract numerous students, among them Jan Amos Comenius, but also supported important scholars, as Althusius, Olevian, and Piscator. Many of such influential scholars exerted considerable effects upon historical developments in Germany, the Netherlands, Switzerland, England, eastern and northern Europe, and North America. 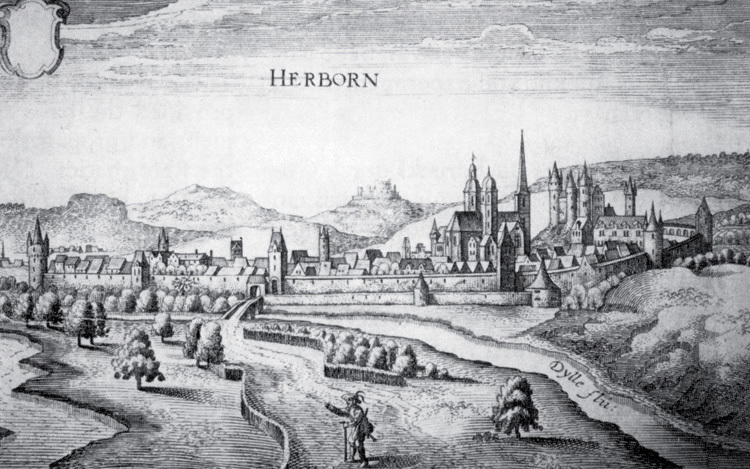 The small town of Herborn in Nassau became well renowned throughout Europe during 1584 and 1630. War and political changes, however, reduced the importance of the academy more and more, until it was ordered to be closed by Napoleon in 1812 and consequently ceased to exist in 1817. The only remainder of the four faculties is a theological seminary, which now occupies the Castle of Herborn. In honour of the 400th anniversary of the Alma Mater Johannea an International Symposium on Intestinal Microecology was held at Herborn 1984. This special meeting initiated the revival of academic activities at the „Hohe Schule“ in the medical field and life sciences. The remarkable symposium stimulated some distinguished ideas and generated the plan to install a series of seminars with a new scientific format at the Old Academy of Herborn. The Old Herborn University Seminar series started in 1986 and became a splendid success recognized worldwide. The academic activities resulted in the establishment of an independent „Old Herborn University Foundation“ in 2003. This non-profit institution is dedicated to the promotion of science and research, in the field of medicine, biomedical and life sciences, respectively. In summer 1984 a slightly excentric German individual decided to compose a jazz tune in honour of the 400th anniversary of the Old Herborn University and a first international symposium of an American scientific society. This gentleman never had any history in music, however, with the help of good old friends, the distinguished Savoy Jazzmen from Cambridge, the idea became reality. 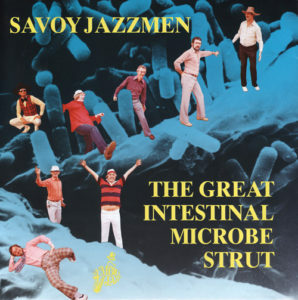 In a three day rush in England the Great Intestinal Microbe Strut was created and presented at the IX. Congress of the predecessor of a now international Society for Microbial Ecology and Disease (SOMED) to the delight of all participants in the assembly to celebrate the anniversary of the old Herborn Academy.